We believe in games that will allow our customers to learn something new from every session. That is why each Bubble Soccer session features 4 bubble game modes with an objective to cultivate soft skills. 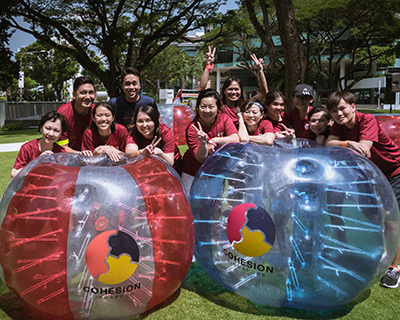 On top of interesting game modes, we are constantly chasing after innovation to ensure our bubble games are relevant to every customer group, from the corporate teambuilding to casual birthday parties. At Bubble Soccer, our innovative and experiential game styles allows our customers to plan and devise out-of-the-box strategies in order to win the games. 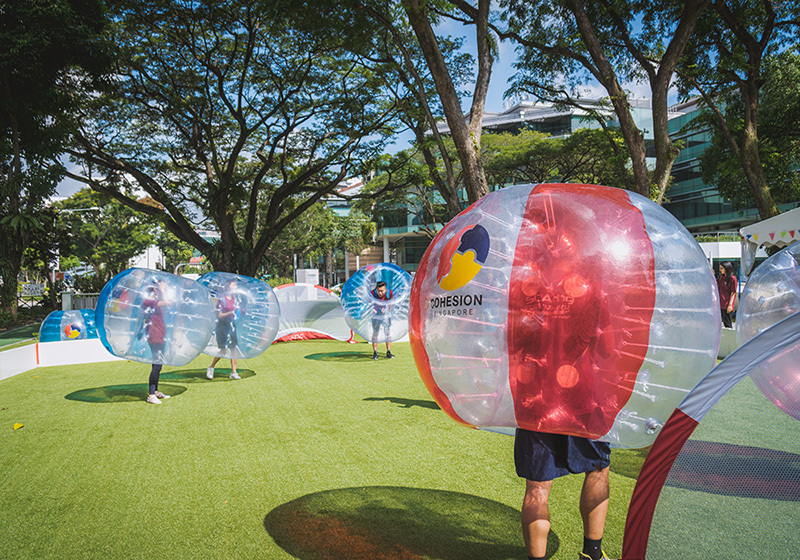 Most importantly, Bubble Soccer Singapore believes in achieving our client’s objectives while delivering fun in the process. All our games have been tested and revamped until we have settled on the games that are enjoyable to all. 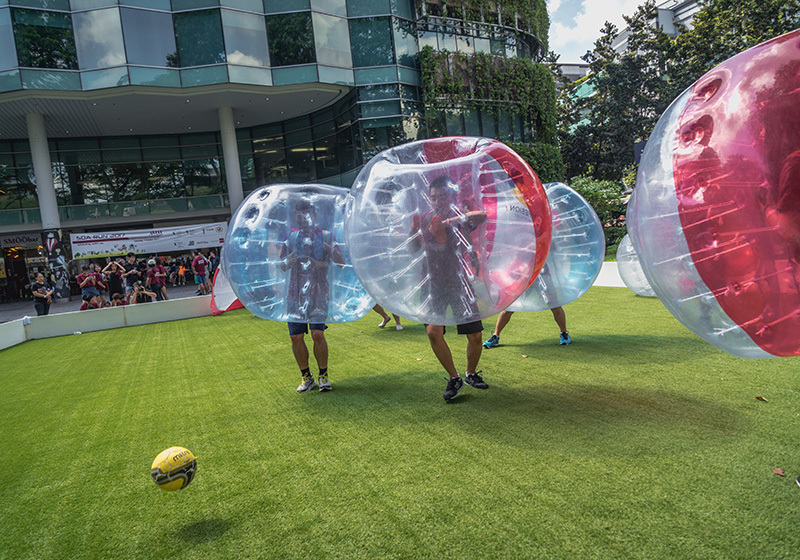 Bubble Soccer Singapore is proud to have completed multiple large scale events for our valued customers. We bring Bubble Soccer to you with a different slant. I have never tried this sport before and I'm so glad my first game was with Bubble Soccer Singapore! They were great from the start, in every briefing and game that eased us into getting used to the bubble armour. I've never bounced so much in my life, laughing to victory! The coaches are fantastic, friendly and generous with suggested strategies. Thank you so much, can't wait for the next one! 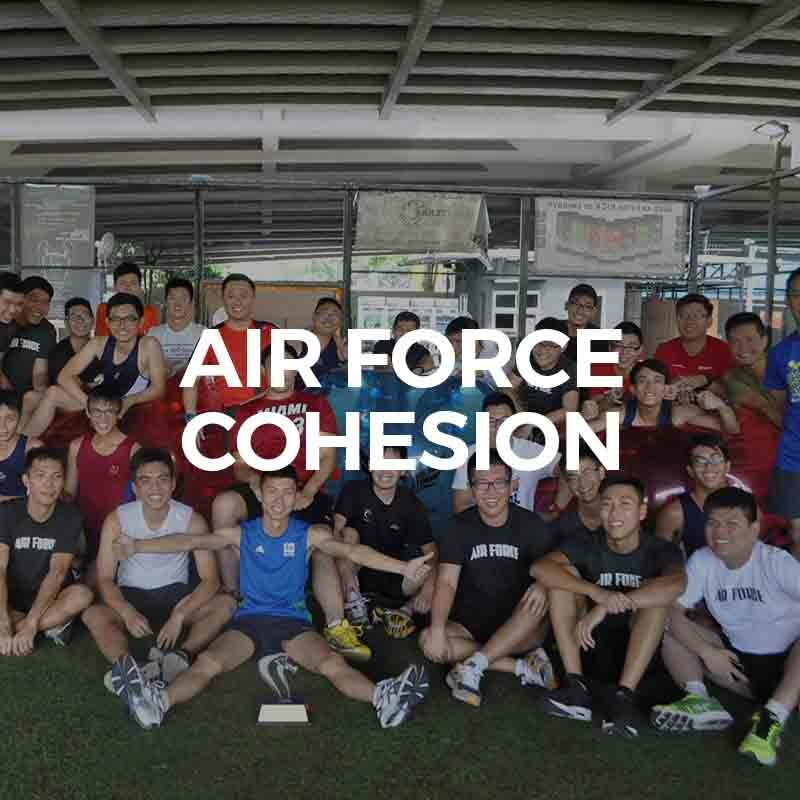 At Bubble Soccer Singapore, we’re proud to be a part of the Cohesion Network. This allows us to provide variety, quality and affordability to our customers. We’re more than just a Bubble Soccer company. 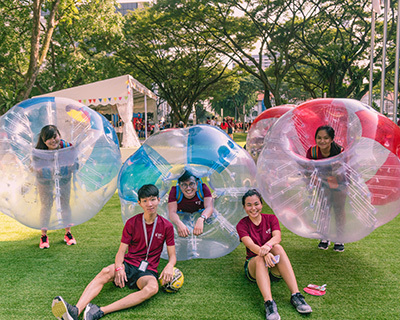 Bubble Soccer Singapore provides quality facilitation as well as events management services, ensuring your event is a smashing success. Our Bubble Soccer suits are maintained before and after each match to ensure you are only playing with the best. We follow a stringent cleanliness regime as well as conduct safety checks to ensure you’re given a smashing good time with Bubble Soccer Singapore. 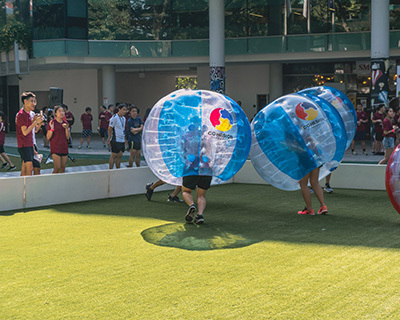 At Bubble Soccer Singapore, we don’t just play Bubble Soccer but we also play other unique variants of Bubble Soccer. Our range of exciting and engaging gameplay keeps the Bubble Soccer session interesting and is great for team building or just casual bonding with friends. Find out more about our games at our Why Us? page. Our Bubble Soccer Singapore facilitators goes through a stringent assessment session before being trained to lead our sessions. You can expect professional and quality facilitation from the Bubble Soccer Singapore facilitators. Our facilitators are always willing to go the extra mile for our clients. 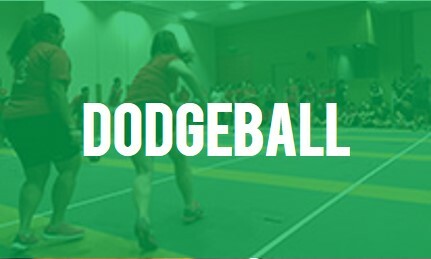 Ready to engage your friends and colleagues in a test of physical prowess? We have crafted our own Bubble Soccer games that will see who emerges as the strongest victors! Ready to smash your enemies? 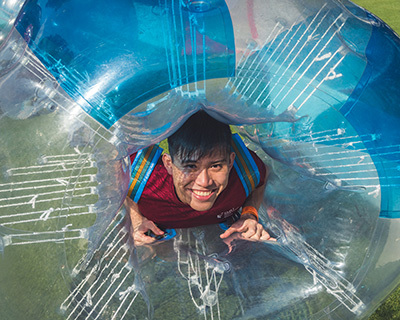 Find out more about Bubble Soccer Singapore and our innovative games here! Are you looking to overwhelm your opponents using your brains? We have game modes that will test to see who is the smarter Bubble Soccer contender. Ready to outwit your enemies? Discover our exciting game modes here! Bubble Soccer is an international craze that has reached Singapore’s shores. It is played like any five-a-side soccer and follows the rules of soccer loosely. Players are, however, required to put on an air inflated bubble suit that will not only protect them but also test their physical endurance. Bubble Soccer Singapore is supported by the International Bubble Football Association that is based in Germany. 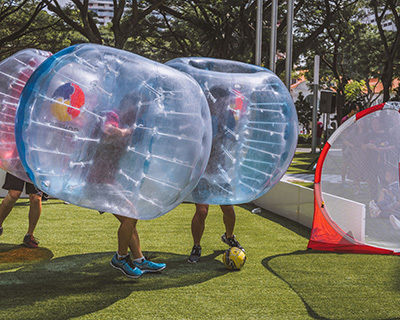 Bubble Soccer is soccer with a unique twist: Each player dons a giant plastic bubble soccer suit. This makes for an entertaining session of watching your friends or colleagues get knocked over. Bubble Soccer Singapore is the largest provider of Bubble Soccer Games in Singapore. We have a host of Bubble Soccer games which caters to both the young and old. Our most popular bubble soccer games include Bubble Soccer, Bubble Invasion, Bubble Captain and Bubble Dodgeball. We also cater to kids with our kid-sized suits. Experience the best of Bubble Soccer with Bubble Soccer Singapore today! Find out more about the Bubble Soccer events we have hosted. At Bubble Soccer Singapore, we don't just play Bubble Soccer. Our games ranges from strategy-based gamemodes to all out mindless fun of knocking your friends and colleagues over. 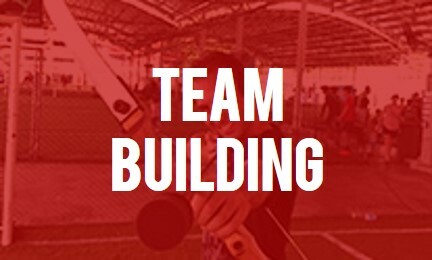 We also support Laser Tag, Archery Tag and Dodgeball to make your team building session ever more enjoyable. CAN’T WAIT TO EXPERIENCE BUBBLE SOCCER? We love collaborations, partnerships or people simply wishing to talk to us. Contact us at hello@bubblesoccer.sg for more details now! Fill up the online booking form for us to get enough information to craft a full unique proposal for you. Learn a new sport and challenge your colleagues and friends in this exciting and thrilling sport. Suitable for all ages. See you on the battleground! 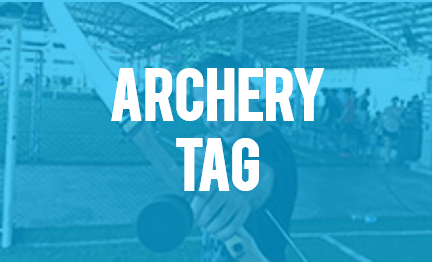 Sate your hunger games appetite by going head on head with your friends in this ultimate battle of skill and wits. May the most accurate archer win. 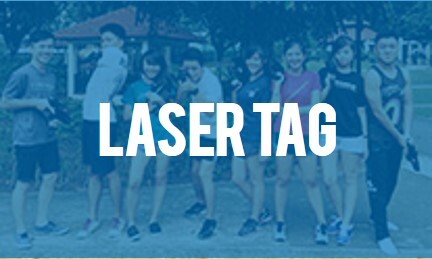 Engage in an epic laser battle with your friends. Great for all ages and perfect for players preferring non-contact activities. Looking for an all in one package? Let us know your requirements and we will tailor our packages to your needs. Look forward to engaging events from us! 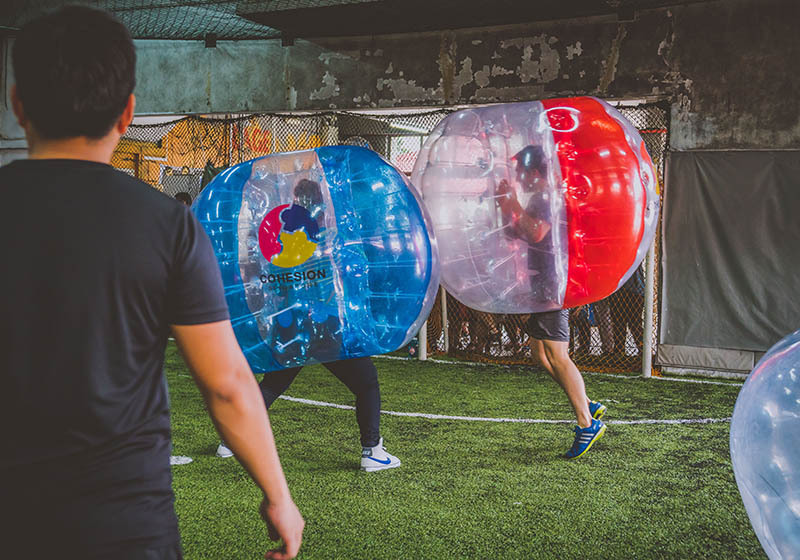 Together with our strategic partners, Bubble Soccer Singapore delivers value to our customers by offering a unique team bonding experience. 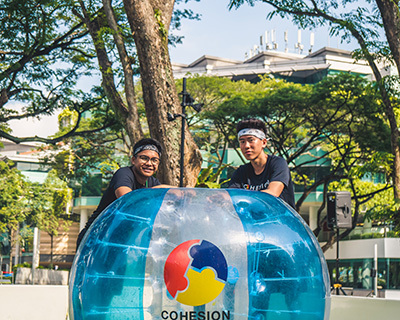 Bubble Soccer Singapore has a strong team building programme that is supported by Cohesion.sg as well as our partners. If you would like to hear more about our programmes, please write in to hello@cohesion.sg for more details. 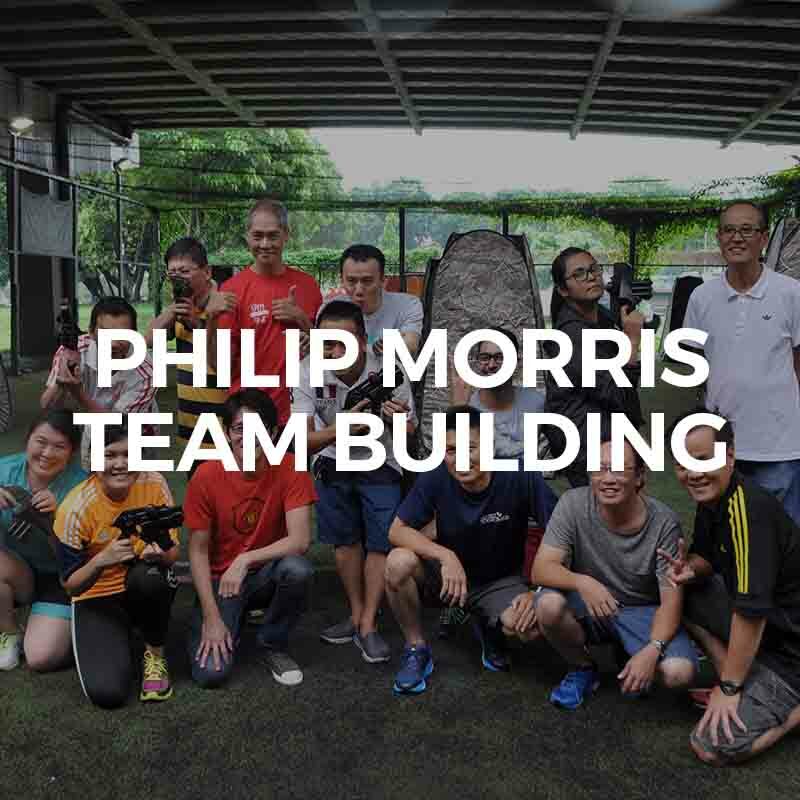 We promise you a scintillating and engaging team building session with us.